The main emphasis on the photo should lie on the colors, shapes and the combination of ingredients and decorations. The goal is to show the dish as an everyday object but with some unusual surprising elements. So that we create an atmosphere where the dish is still looking realistically while provoking interest and highlight its particularities. In modern food photography it is common to put around the table many objects which reflect in some way the main dishes and increase the interest to try it. Berries near desserts for example show how fresh and natural the dish is. Flowers at the same time can show a summerly mood and make the picture look more alive. The whole process of preparing the dishes should be repeated basically two times. First the dishes are normally prepared and served and then the ingredients and even some parts of the process of the preparation will be used again and used as decorative elements. 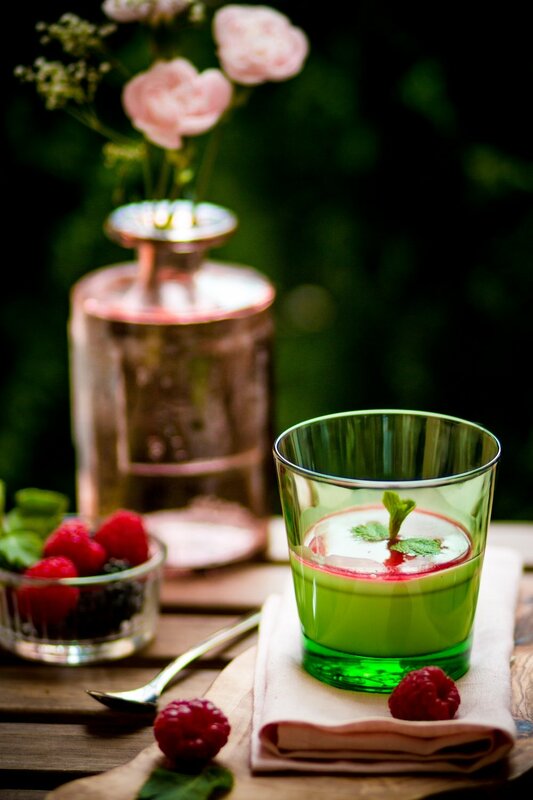 People like to see something new, they not only want to see the famous cocktail Mojito but also for example different ways of serving it as well as in this case which ingredients where used to make it. This can be used to underline for example the freshness of a dish.